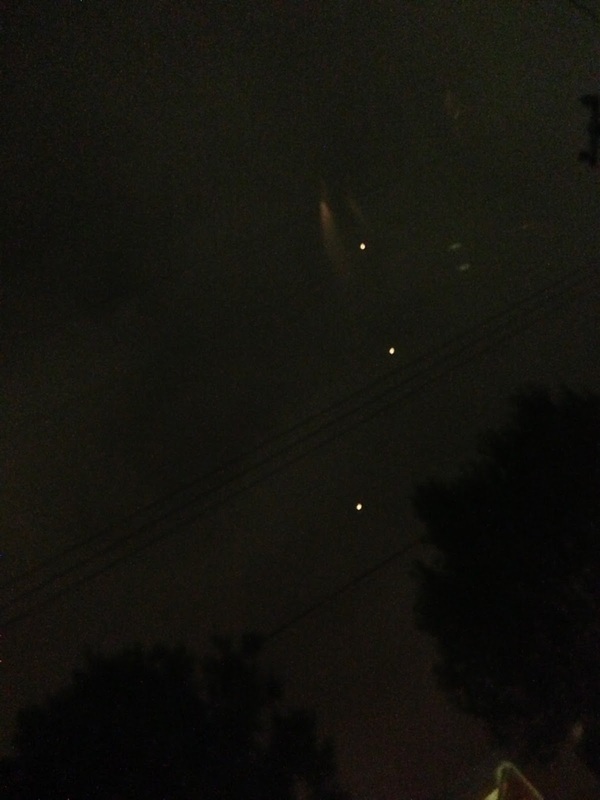 The first Mysterious burning object lights up the night sky in southern California on 24th July 2013. Mystery object falls from sky, area sealed off by military: Simply nobody will be giving any credence to officials in America who have stated that a mystery object which fell from the sky this week - after which the surrounding area was evacuated and sealed off for some time by police and military personnel - was just a "weather balloon". Reportedly, large numbers of government operatives from various agencies converged urgently on a residential neighborhood in Norfolk, Virginia, on Tuesday night after an unidentified object fell from the sky there. News reports describe the object as "something odd", with some eyewitness accounts saying it resembled a balloon and others suggesting that the crash landed artifact had a structure similar to "styrofoam". According to local TV news: One person told authorities it was making a strange noise. People living and working in the immediate area were rapidly evacuated and the district was sealed off by a combination of police and military personnel. The presence of operatives from shadowy federal agencies in overall charge of the incident was - of course - not mentioned by spokesmen briefing the media. However it was revealed that initial contact with the landed object was handled using a robot. Following this there was consultation with experts from NASA. Not long thereafter the mystery object from the sky was apparently loaded onto an unidentified government vehicle and removed from the scene. Subsequently local residents were permitted to return to their homes and the military and police contingents dispersed. A great recap of all the best UFO sightings from July 2013 by Darin Crapo·. Many of the daily featured UFO sightings here at RealUfos are summarised on his weekly UFO recaps. In this video Darin looks at the UFO sightings captured over Waddenzee Beach in the Netherlands; Tel Aviv, Israel; The Bronx, NY, USA; New York State, USA; Vancouver, Canada; Kansas City; Kearny, NJ, USA; and the Evergreen Aviation & Space Museum in McMinnville, Oregon, USA. 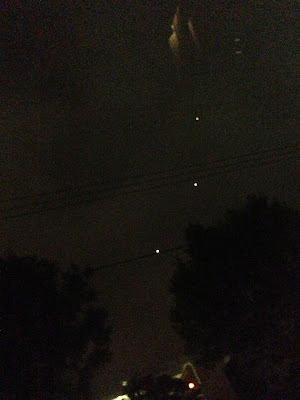 OVNI Video recorded on Tuesday, August 6 at around 20:30 hrs in Mexico City. The UFO remained static (apparently because he had a fall which can be seen on the screen) and then disappear and after a few minutes to reappear in the same place. Jim and Clayton talk about the new UFO capital of the world — Cleveland? They also talk about ghosts in a bottle, Phoenix lights, Roswell, and Claytons close encounter of the weird kind. New UFo video in from Leeds UK. Strange super bright object low in the horizon. Posters comments: A bright unidentified flying object discends above countryside in Leeds UK, The object appears to be emitting its own light while slowly dropping to the treetops, the footage is short but interesting due to the daytime brightness, Recorder does not know what the object was and states: it was small and far away but looked just like the video. I thought it was a hot air baloon for a moment cos it was high and not moving. when i came back with the camera it got lower. i expected my camera to show it in focus but it was just a light. my camera is pretty good and so i was suprised it didnt pick up on what the object was Credits: Blip Street. My mother and I were in my room watching TV when we heard a loud roar outside. We ran to the window. It was a cop tat was out at my neighbors house. As my mom was preoccupied watching that go down, I noticed a light in the sky. I watched it, and it was just a plane, but I filmed it anyway since it seemed to be government, or at least non commercial. I walked outside and watched it fly away. About a few minutes later I saw a similar object to the UFO I saw on 07/14/13 in Novato. The sighting began at 10:04 PM. I started filming it asap. It was orange colored, and there were multiple lights. All were behaving differently. One large, bright one on the bottom and about 2 on the top. The bottom one was constant, the top ones were blinking/"dancing". It hovered in place for a little bit and then slowly drifted south/southwest. It was very low to the ground just nearby the Indian Tree Preserve Mountains. I filmed it until it disappeared around 10:06 PM, just after my camera ran out of film! The UFO is moving from right to left in the footage. I am standing in my backyard, facing the Indian Tree Preserve. The flight path of the UFO was from the vicinity of the Indian Tree Preserve to Josef Hoog Park. When I uploaded the footage to my computer and enhanced it, I could see the large lower light, a faded light on the left that was constant, and 3 - 4 smaller lights on the top blinking and "dancing" (a total of about 5 - 6 lights) It was cold outside. Very quiet. There was barely even a breeze. During the sighting I heard NO NOISE. NOTHING. In the enhanced video, you can see the Indian Tree Preserve mountains horizon. Below it, in the valley, is where the UFO was hovering. Sent in by a reader filmed 10:30 pacific time over Orange County California. If anyone also witnesses these lights please respond to this post.